We all know dogs love to hang their heads out of a moving car window and feel the breeze around their fur, but safety is still paramount. 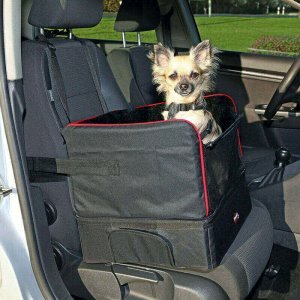 Our dog car seats, dog booster seats, dog car safety harness and seatbelt lead attachments will do the trick. 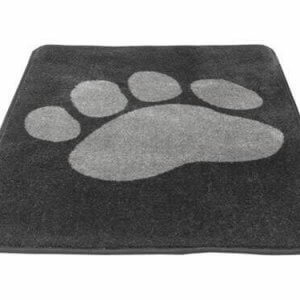 And to protect upholstery from dirt, pet hair and scratches our pawprint pattern car seat covers, car seat carpets and mats will keep your interior clean. 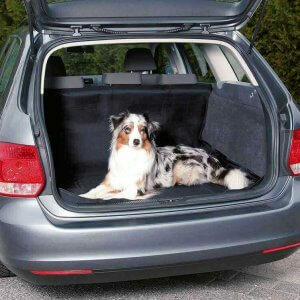 We also stock dog cargo guards, boot protectors and ventilation lattices for car windows. If your pooch has a sensitive tummy you can help them be comfortable on the journey with herbal travel tablets to reduce the effect of vehicle motion.